WE NEED BOOKS BOOKS BOOKS! BOOKS BOOKS BOOKS!!! 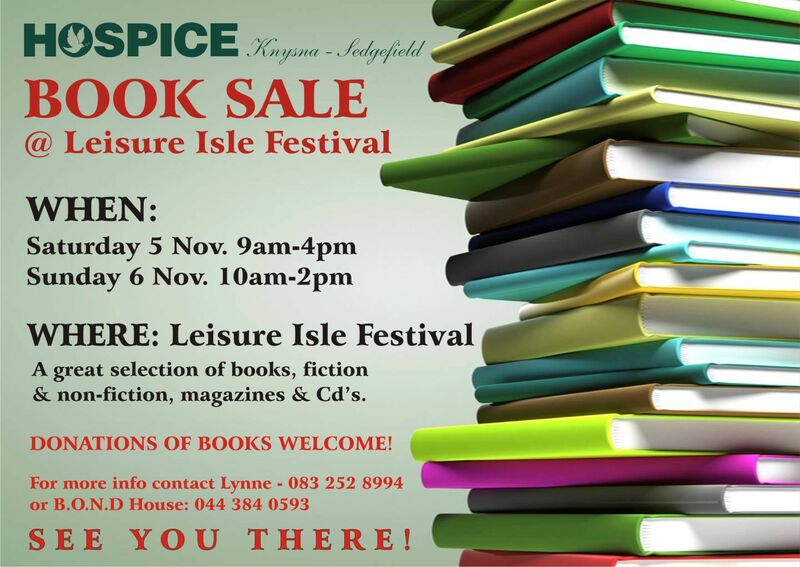 We are appealing to our loyal Hospice friends to bring us your 2nd hand books for our Book Sale at the Leisure Isle festival. Please drop them at B.O.N.D House or at the KNysna Craity shop - clearly marked for the Leisure Isle Book Sale. Many thanks! !